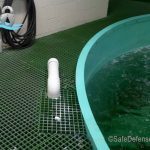 Safe Defenses builds and installs fences and nets in all types of commercial pools, including those not intended for swimming. 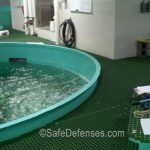 There are specific guidelines requiring pools constructed for performance and exhibition to include safety equipment. 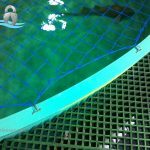 The high quality fences, nets and covers available and installed by Safe Defenses meet the requirements set by even the highest standards and industrial needs. 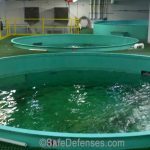 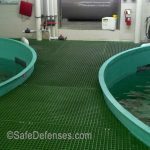 Our team of safety barrier specialists will ensure that your commercial pool adheres to the standards set forth by your industry. 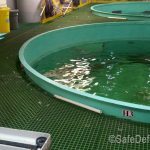 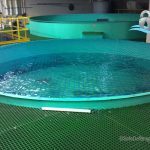 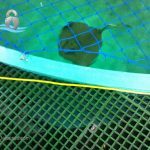 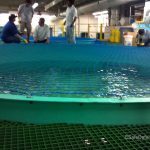 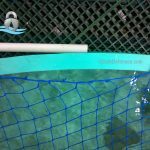 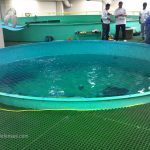 This gallery shows images from a safety net installation at commercial aquarium tanks not intended for swimming. 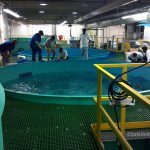 The addition of the safety nets in these images have added a barrier between aquarium workers and the aquarium life inside.